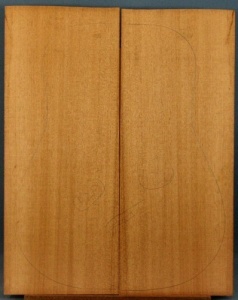 Honduras mahogany guitar soundboard grade AAA. 600kg/M3 Photo is of a typical set. Split from the log and sawn to reduce short grain and enhance quarter sawing. 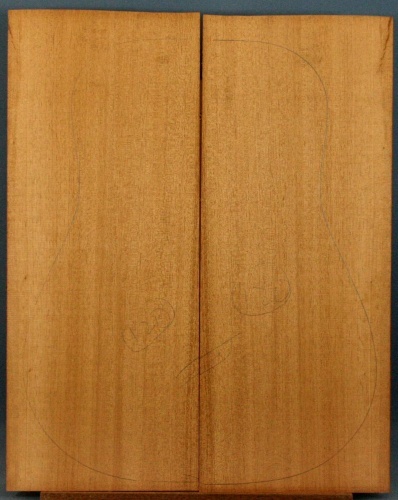 It is a measure of just how fine a tonewood mahogany can be in that it has been successfully used as a soundboard material by some of the best guitar factories in the world. We apply the same attention to detail as we do with spruce and cedar soundboards. 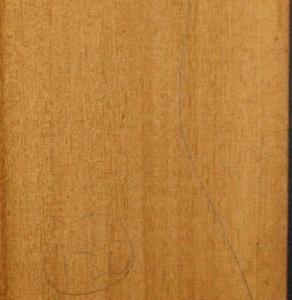 To be offered as a soundboard the wood must be light weight, free from interlocked grain and well quarter cut. Grading rules are as we use for back and sides sets.